Product prices and availability are accurate as of 2019-04-24 03:36:29 UTC and are subject to change. Any price and availability information displayed on http://www.amazon.com/ at the time of purchase will apply to the purchase of this product. Perfect for the guy who prefers to carry only the essentials - must have cards, an ID and some $$. Sized to carry comfortably in the front pocket, Jack's ID Bifold Money Clip Wallet offers traditional bifold functionality while holding just enough without the bulk. Guaranteed to turn heads with the vintage bronze Bottle Opener Money Clip! ARE YOU THIS GUY? Perfect for the guy who prefers to carry only the essentials - must have cards, an ID and some $$. 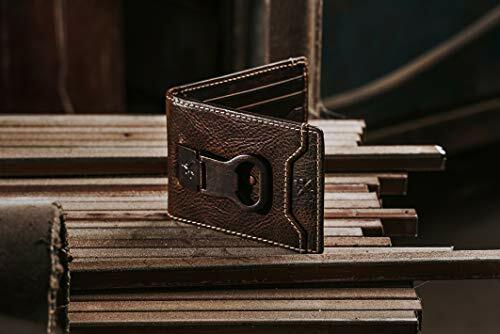 Sized to carry comfortably in the front pocket, Jack's ID Bifold Money Clip Wallet offers traditional bifold functionality while holding just enough without the bulk. 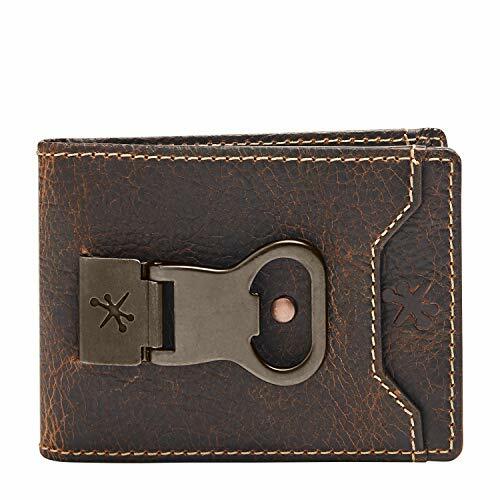 Guaranteed to turn heads with the vintage bronze Bottle Opener Money Clip! 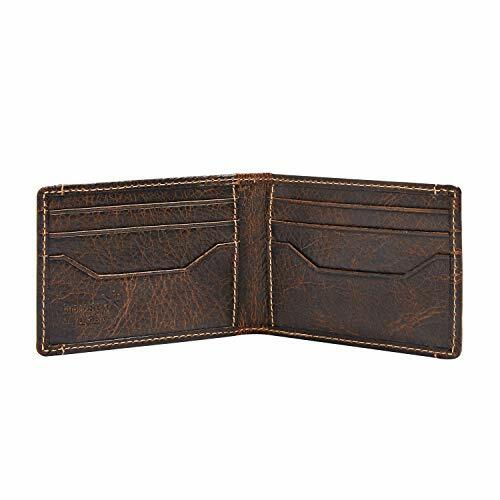 MONEY CLIP WALLET FEATURES: Slim multi-card construction offers a combined card carry totaling 9 card slots - 6 Interior Card Slots, 2 Interior Receipt Pockets and 1 Exterior Card Slot. 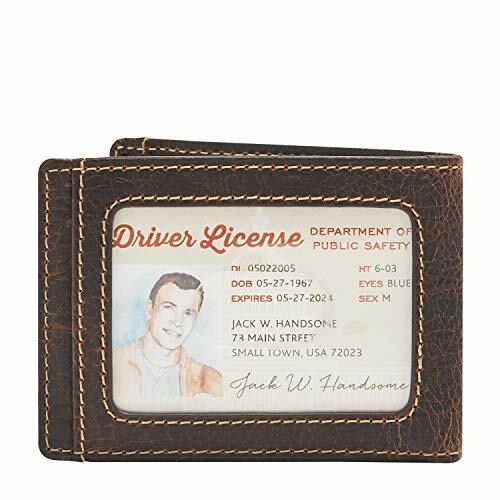 Exterior ID Window features a thumbhole cut-out for ease of license removal as well as a plaid menswear lining. Vintage bronze Bottle Opener clip with clamp closure. 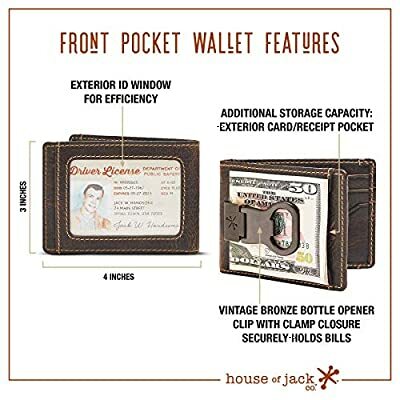 FRONT POCKET CARRY: Designed to carry with metal money clip facing out with ID window against leg in your front pocket. 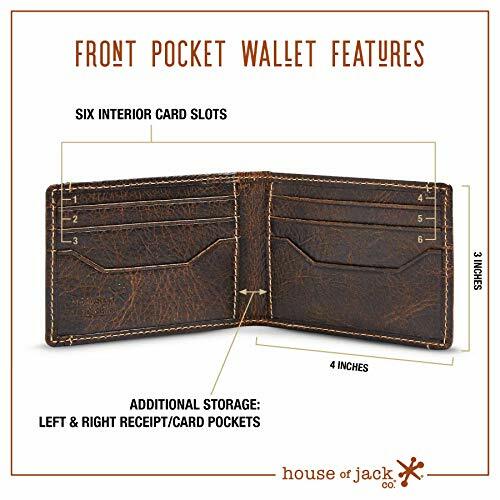 HOUSE OF JACK CO. LEATHER: Handcrafted from Full Grain Leather, House of Jack Co. wallets will develop a rich patina and character all its own. Simple, the more you carry ... the better the wallet looks. GIFTABLE PACKAGING: House of Jack Co. Gift Box and branded drawstring wallet bag included for gift giving.